Last month we upgraded our website and freshened up our company logo, if you haven’t seen it yet then follow this link! 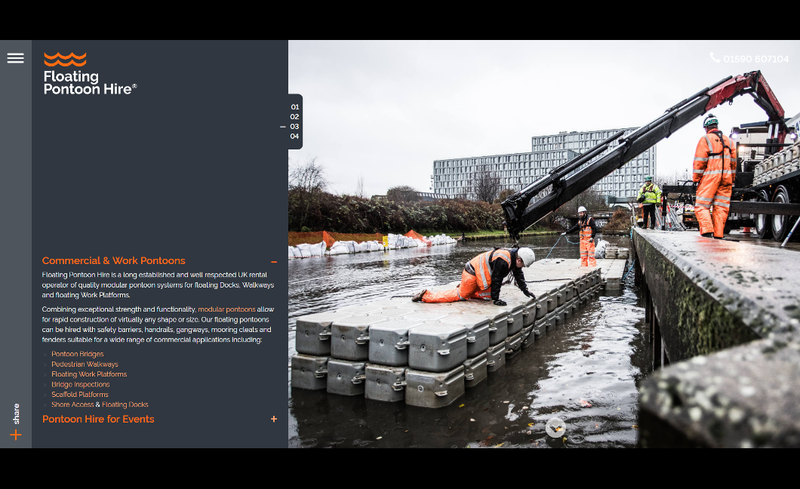 This month it’s our sister company, Floating Pontoon Hire’s, turn and they too are now looking pretty sharp! The deign and development team at Clear Signal have been working hard to create and implement another simple-to-use and eye-catching website, which is also fully optimised for tablet/ mobile devices. Take a look and let us know what you think on either Facebook or Twitter!